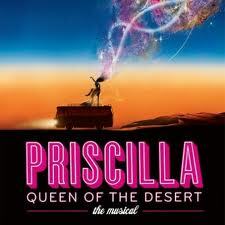 Don’t go to see Priscilla Queen of the Desert! about three drag queens on a bus traveling from Sydney to the Australian outback in a Broadway state of mind. Don’t expect original music and an engaging plot. Have a few cocktails beforehand, expect a disco ball, confetti, divas and a lot of color, and just have a damn good time! !